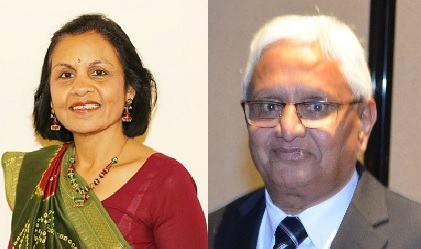 Diwali Gala 2018, hosted by the non-profit organization South Asian Nation, took place on Oct 27th at the Holiday Inn in Brookline. With 200 attendees, a mix of kids and families, the event was a huge success in bringing together the Boston community to celebrate Diwali, festival of lights. Decoration around the venue focused on Diwali around the world, featuring educational posters showing how Diwali is celebrated around the world. While the theme of celebrating victory of good over evil is consistent around he globe, different regions around the world celebrate with their own special flair. 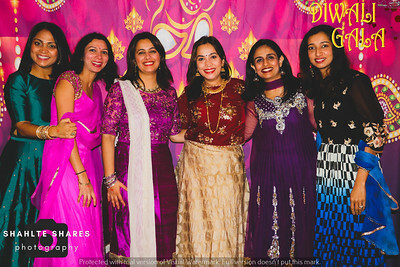 Diwali Gala featured 4 dance groups to show case various dance forms in India. The event kicked off with Bharatanatyam performance from state of Tamil Nadu, performed by students from Triveni school of dance. The second performance was the Little Bollywood Superstars, team formed by South Asian Nation to promote cultural awareness among kids. The third performance was from Northeastern University students, Nakhraas, that performed traditional garba/dandiya from the state of Gujrat. 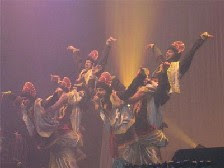 The final performance was from Boston Bhangra, high energy dance over drum beats from state of Punjab. The crowd was loud and cheered for all the dancers as they joined these teams on the dance floor as the dance party kicked off! Along with activities for adults, the event had various activities for kids to keep them busy, such as movie theater set up, arts and crafts and food from local vendor to keep them busy and full! Arts and crafts were Diwali focused where kids were encouraged to make Diwali cards for parents, make Rangoli designs and to create paper diyas to celebrate the festival of lights. With the photo booth and professional pictures running all night, the organization was able to capture key pictures of local community coming together and enjoying themselves. Based on success of Diwali Gala 2018, the organization is already in full swing to plan their next years event. Join the South Asian Nation waiting list to ensure you don't miss this great event which will sell out.